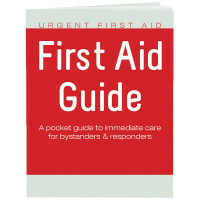 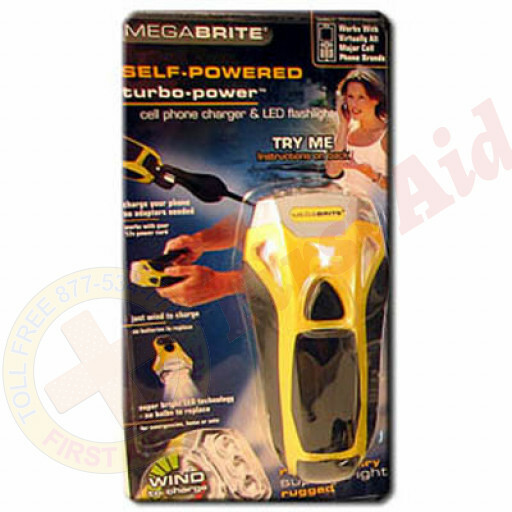 We offer the Dynamo Mega Brite Turbo Flashlight with Universal Phone Charger at First Aid Store™ - Works with your cell phone cigarette lighter charger. Patented TriVEex Optics lens projects a wider beam. 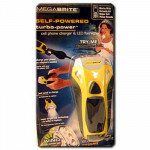 Dynamo Mega Brite Turbo Flashlight w/Universal Cell Phone Charger. The MayDay Industries Emergency Gear Dynamo Mega Brite Turbo Flashlight w/ Phone Charger.